MLB Hall of Famer, Ricky Henderson (60), a roving instructor for Oakland and looking very trim and fit, was on the pregame field playing catch with some Aviators. 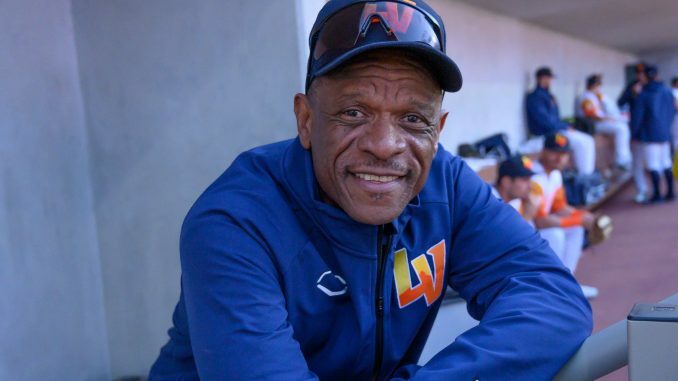 SUMMERLIN — The Las Vegas Aviators have jumped off to a great start in the Pacific Coast League. In their second home game of the season, and on a warm balmy night, perfect for baseball, the crowd got a great show. The volatile winds from the night before had left the area and Finn, the bat-dog, was energized and very much part of the experience. The national anthem by the Clark County School District children was spot on and received a resounding ovation. It was a very nice touch. One important note, you have to arrive extra early at Las Vegas Ballpark to get the unexpected and limited free parking. Don Logan, President and Chief Operating Officer of the Las Vegas Aviators, should be proud of his vision and acc,omplishments. He was the driving force to get the state-of-art stadium built. But I urge him to reexamine the price structure of the food offerings and offer some low-cost selections. A recommendation, make the baseball experience affordable for families and do not become just another corporate ticket, as with the Las Vegas Golden Knights. FYI, the strategic plan for continued baseball success in Summerlin depends on repeat customers. With the price of gas and time of travel, folks have choices for their limited entertainment budget. 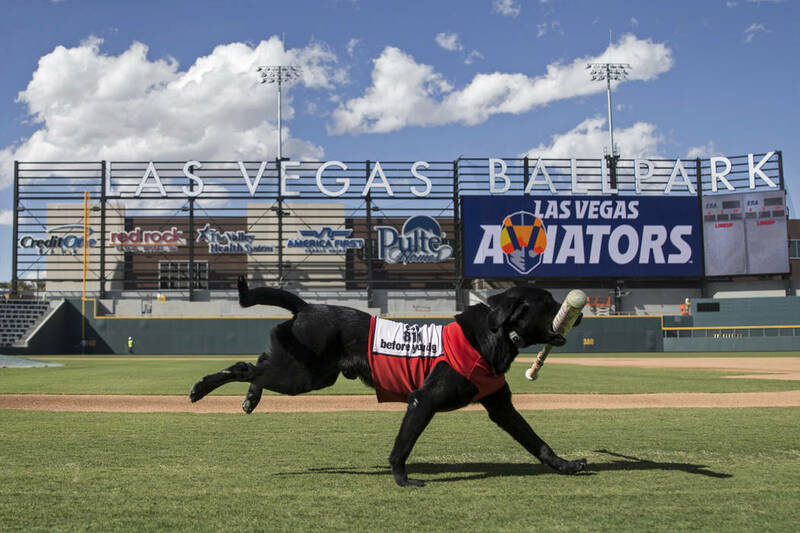 True to the long-standing Las Vegas tradition of more is better and over-the-top entertainment promotions, the Aviators offer two mascots. The new mascots are Spruce (an overgrown goose) and Mr. Aviator. 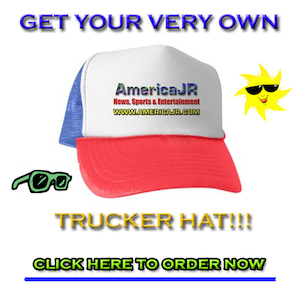 In a short time they have proved very popular. On a business note which includes the all-important pop-culture branding issue, the aviator fighter pilot logo has been getting poor reviews. For real baseball enthusiasts, catcher Sean Murphy is worth the price of admission. 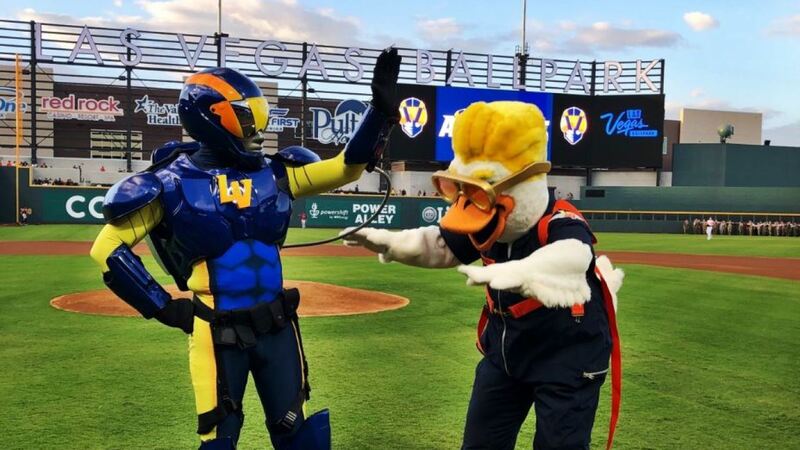 The Wright State University product in southern Ohio threw out a speedster with a perfect throw and hit the first Aviator home run in Las Vegas Ballpark. The HR was a monstrous blast to deep centerfield and it even was beyond the pool area. (As part of the fan experience, you’ll be able to go swimming at Las Vegas Ballpark.) It would not surprise me if Murphy is a soon-to-be call up by the parent club, the Oakland A’s. There is limited bus service to downtown Summerlin, but because of the time involved, plan accordingly.